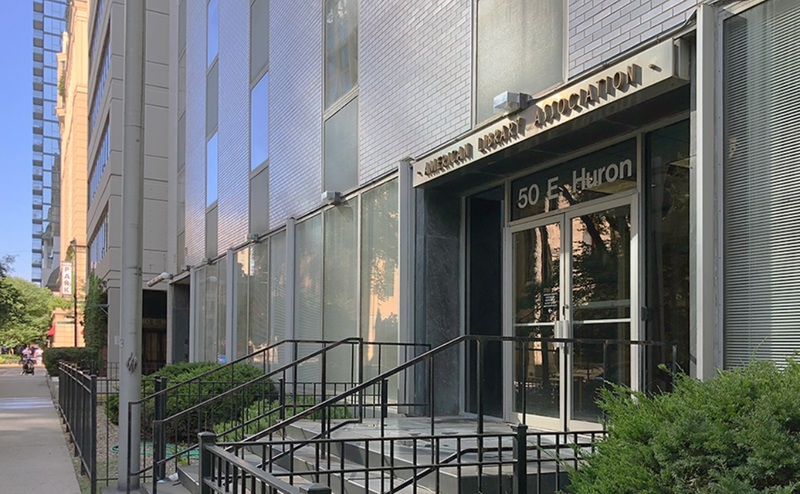 The American Library Association has announced a plan to explore Chicago’s commercial real estate market with the listing of its headquarter buildings at 40 and 50 East Huron. 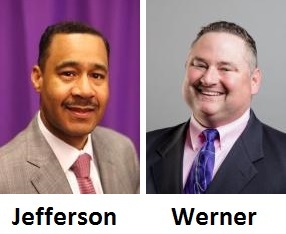 Julius C. Jefferson, Jr., Section Head, Congressional Research Service, Library of Congress, Washington, DC, and Lance Werner, Executive Director, Kent District Library, Comstock Park, Mich., are the candidates for the 2020-21 presidency of the American Library Association (ALA). 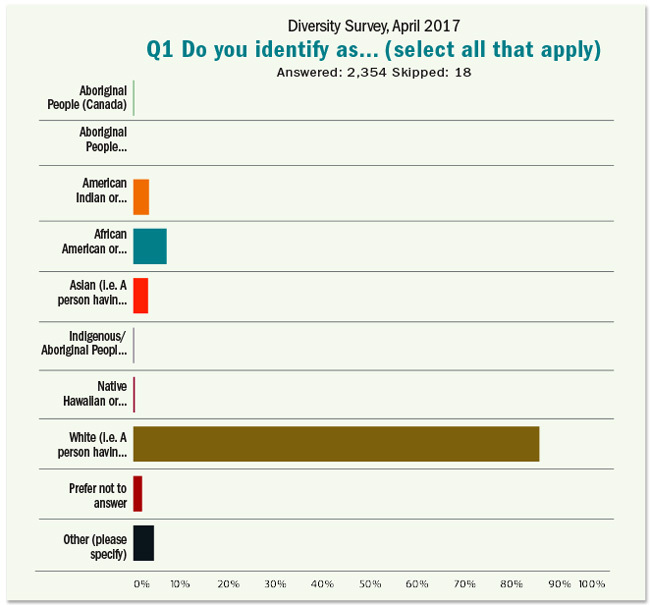 An online ALA Council poll, held August 9–16, voted 140–4 to rescind a controversial meeting room interpretation. The Library Bill of Rights will revert to the 1991 version that had previously been in effect. MOVING ON UP On Friday, June 22, LJ hosted the Class of 2018 Movers & Shakers at the National WWII Museum's Stage Door Canteen. The afternoon event, sponsored by Baker & Taylor, OCLC, and SAGE Publishing, helped the newest cohort—with Movers from past years on hand to welcome them—kick off a busy American Library Association (ALA) Annual conference weekend in New Orleans with cocktails and appetizers. 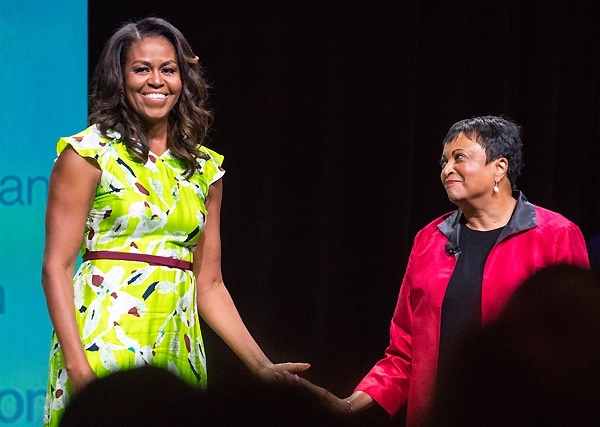 Across downtown New Orleans on Friday, June 22, attendees of the American Library Association (ALA) annual conference buzzed about the Opening General Session, where Librarian of Congress Carla Hayden would be interviewing former First Lady Michelle Obama. The Executive Board of the American Library Association (ALA) recently appointed Mary Ghikas ALA executive director (ED) through January 2020. Ghikas has been interim ED since last August 2017, when previous ED Keith Fiels retired. Before that she was senior associate ED of member programs and services. After my last column (“A Librarian Must Lead ALA”), the news was deeply reassuring. Library vendors had lots of news to share at this year’s American Library Association (ALA) Midwinter Meeting and Exhibits in Denver. Here are a few of the announcements LJ had the opportunity to learn about in person. If this headline seems familiar, there’s a good reason: one year ago I said something very similar in “The Devalued MLIS.” At the time, I was addressing the upcoming vote of the American Library Association (ALA) Council on whether ALA should require candidates for its open executive director spot to hold a master’s degree in library science. With 2018 under way, the work to ensure key funding at the federal level steps up. On December 21, 2017, Sen. Jack Reed (D-RI), along with Susan Collins (R-ME), Thad Cochran (R-MS), Kirsten Gillibrand (D-NY), and Lisa Murkowski (R-AK), introduced the bipartisan Museum and Library Services Act (MLSA) of 2017. The bill, essentially a reauthorization of the programs administered by the Institute of Museum and Library Services, reasserts the value of libraries and museums in the cultural fabric and creates an opportunity for political leaders to put a stake in the ground for these vital institutions. Update: On January 25, the ALA Executive Board appointed interim executive director Mary Ghikas as executive director through January 2020, effective immediately. The session at ALA Midwinter will continue as scheduled, and the qualification question will remain on the upcoming all-member ballot. The search process for the executive director will begin in spring 2019 after the position description requirements have been finalized. The ALA Executive Board plans to name a new executive director after the board meeting in October 2019. State Library Administrative Agencies (SLAA) across the country experienced major decreases in revenue and staffing during the economic recession, according to the Institute of Museum and Library Services (IMLS) biennial State Library Administrative Agencies (SLAA) Survey, conducted in FY16. The American Library Association (ALA) Midwinter Meeting returns to Denver, February 9–12, at the Colorado Convention Center. While the later-than-usual timing pushes the conference closer to March’s Public Library Association (PLA) biennial gathering, a potential bottleneck for some, Midwinter offers plenty of compelling content to pull librarians to the Mile High City. More than 90 million Americans have low health literacy, hindering their ability to take control of and address their own health needs, according to a 2004 study by the Institute of Medicine of the National Academies. The Public Library Association (PLA) and its parent organization the American Library Association (ALA), together with the National Network of Libraries of Medicine (NNLM), are working to expand the extent to which libraries—among the most trusted of community institutions—can address this issue. 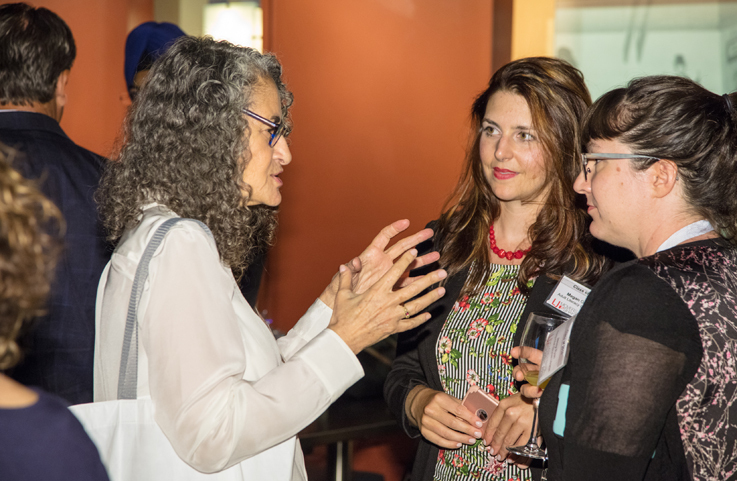 The Institute of Museum and Library Services (IMLS), which celebrates its 20th anniversary this year, has awarded 12 organizations Community Catalyst Grants totaling $1,637,271. Libraries are project partners of eight of the 12. From rebounding attendance to amazing site visits to a surprise visit from a United States congressman, the tenth National Conference of African American Librarians (NCAALX) offered attendees excitement, motivation, and unity of purpose. In a conversation that touched upon the inner workings of publishing, the implications of censorship, and the marketability of diverse books, an attentive audience heard varied perspectives from a publisher, a librarian, and an American Library Association (ALA) executive on Saturday, June 24, at ALA's Annual Conference in Chicago. The American Library Association (ALA) Annual Conference, held this year at Chicago’s McCormick Place convention center, June 22-27, included a number of announcements and product launches from library vendors. Here are a few that LJ had the opportunity to learn about in person. The American Library Association (ALA) Annual Conference, held June 22–27 at Chicago’s McCormick Place, saw booming attendance. At the conference’s end, the convention center had seen 23,545 people come thru the doors, made up of 17,657 attendees and 5,888 exhibitors, beating 2016’s Orlando conference by more than 8,000 people and even narrowly edging out 2015’s San Francisco event by nearly 1,000 attendees. For all those attendees, internal governance was far from the only thing on the agenda, but neither was it forgotten—and, of course, it reflected the currents in the larger worlds of both governance and libraries. The American Library Association (ALA) Annual conference, held in Chicago June 22–27, got off to a literary start with a sold-out Friday night reception at the American Writers Museum (AWM) featuring poet, author, and activist Nikki Giovanni, to benefit ALA’s Cultural Communities Fund, which supports humanities, civic, and STEM (science, technology, engineering, and mathematics) programming in libraries of all types. In some ways, the American Library Association (ALA) annual conference’s return to Chicago represents a tried and tested winner. Annual and the Midwinter Meeting alike both frequently revisit ALA’s home ground, where the central location helps ensure a high turnout. In other ways, however, this year’s get-together is all about change. Sue Macy’s Motor Girls, YA authors dishing about YA, gender stereotypes in YA romance, a World War II fighter pilot sharing his story, and more are poppin’ up at the PopTop stage or at Chapter 1.
the source to your library’s collection. Sarah Jessica Parker will sprinkle some stardust on the American Library Association (ALA) Annual meeting this year. The television and film actor/producer and library supporter is serving as Honorary Chair of ALA’s new global digital online platform, Book Club Central. Parker will reveal Book Club Central’s inaugural pick at its official launch during the President’s Program at ALA, Saturday, June 24, 3:30 p.m. at McCormick Place West in Chicago. Cable and Internet service provider Cox Communications has teamed up with the American Library Association, the Public Library Association, and three pilot libraries to launch a new digital literacy website and more. Voting for the American Library Association (ALA) 2018–19 presidential campaign opened March 13, and ALA members can cast their ballots through April 5. LJ has invited the candidates to weigh in on some key issues pertaining to ALA and librarianship; more information can be found on ALA’s Election Information page. The American Library Association (ALA) faces the difficult job of finding new leaders at a time of great uncertainty about the nation’s politics and how this will impact the nation’s future and that of libraries. For nearly all 140 years of the existence of the American Library Association (ALA), its Executive Director (ED) has been a professional librarian. Today, the credential required to ensure that the ED is a librarian is the Master of Library and Information Studies (MLIS) degree. However, a group of ALA councilors and Executive Board members apparently wanted to change that. There’s no debate that it will be hard to replace the American Library Association (ALA)’s current Executive Director (ED). But there’s plenty of debate over the next ED’s qualifications. Should the MLS be required? Or do we look for the best association leader we can find? In spite of intermittent rain, the mild temperatures of Atlanta, GA, made it a welcome destination for the 2017 American Library Association (ALA) Midwinter Meeting, held January 20–24. Current events—notably the inauguration on Friday of Donald Trump as the 45th president—drove a series of offerings that were definitely not business as usual. The Institute of Museum and Library Services (IMLS) and the Chief Offices of State Library Agencies (COSLA) recently announced a project called “Measures that Matter,” with the aim of evaluating data collection by public libraries in the United States. This project will survey the current state of public library data, assessing current strengths and weaknesses and formulating a plan for future action. At “Taking Our Seat at the Table: How Academic Librarians Can Help Shape the Future of Higher Education,” sponsored by the Association of College and Research Libraries University Libraries Section (ACRL ULS), library administrators spoke up on how their institutions are looking ahead—both within and outside of the library. As always, the American Library Association's 2016 annual convention included many announcements and product launches from library vendors. Here's a roundup of some of the news from this year's show floor. A standing-room only crowd attended Literacy Inside and Out: Services to Incarcerated and Newly-Released Adults and Their Families at the recent American Libraries Association (ALA) Annual Conference in Orlando, FL. I've been thinking about this issue—and serving under-served communities in general—since I was a public librarian. Once, a patron cautiously approached the reference desk, explaining that he had been recently released and needed assistance familiarizing himself with the library. At the time, I didn't realize how a building full of large, imposing stacks could be intimidating for those who hadn't been to a library before, or not for a long time. Kvetching about the location of the American Library Association (ALA) annual conference is practically a rite of passage. While the meeting has been held in many unquestionably great American cities, the association’s quest for affordable conference and hotel space in quantity tends to drive it to cold places in winter and hot in summer, and a certain amount of transit snafus and frayed tempers inevitably result. Objections to the location of this year’s ALA, running June 23–28 at the Orange County Convention Center in Orlando, FL, however, are on a completely different level. PopTop Stage Goings-on: Covering a variety of discussions, readings, and presentations throughout the conference. For library leaders, trustees, Friends, and foundation members headed to the American Library Association (ALA) annual conference in Orlando, June 23–28, there will be a number of sessions on offer with content of specific interest to trustees. Voting for the American Library Association (ALA) 2017–18 presidential election closed on April 22, and when the votes were tallied on April 29 James G. (Jim) Neal had won the role of president-elect in a close race. A total of 10,230 ballots were cast—marginally up from last year’s 10,119. Neal edged out opponents Christine Lind Hage and Lisa Janicke Hinchliffe with 34.6 percent of the vote. On April 13, the American Library Association (ALA) and Google announced the “Libraries Ready to Code” project, which will investigate the current status of computer programming activities in U.S. public and K–12 libraries with the goal of ultimately broadening the reach and scope of these coding programs. The project will include an environmental scan, practitioner interviews, focus groups, and site visits, and particular attention will be focused on opportunities that libraries are providing to minorities, girls, and other groups that are currently underrepresented in computer science and related fields, according to an announcement. The results of the project will be used to further engagement by ALA, and to inform a computer science policy agenda as part of the ALA Office for Information Technology Policy’s (OITP) Youth and Technology program. Voting for the American Library Association (ALA) 2016–17 presidential campaign opens today, and ALA members in good standing can cast their ballots through April 22. This year’s candidates come from a range of backgrounds: Christine Lind Hage is director of the Rochester Hills Public Library, MI; Lisa Janicke Hinchliffe is a professor and coordinator for information literacy services and instruction at the University of Illinois at Urbana-Champaign; and James G. Neal most recently served as the vice president for information services and university librarian at New York’s Columbia University. LJ has invited them to weigh in on some key issues pertaining to ALA and librarianship; more information about the election can be found on ALA’s Election Information page. American Library Association (ALA) Midwinter Meeting attendees were presented with a slate of strong contenders from both public and academic libraries at the ALA 2017–18 Presidential and Treasurer Candidates’ Forum on Saturday evening, January 9. Presidential candidates Christine Lind Hage, Lisa Janicke Hinchliffe, and James G. Neal, as well as treasurer candidate Susan H. Hildreth, presented their platforms and discussed their stances on topics that will affect ALA in the months and years to come: investments; international outreach; the development of a leadership pipeline; the proposed name change for the Office for Literacy, Diversity, and Outreach Services; and work with the Freedom to Read Foundation. In particular, candidates highlighted their visions for ALA’s three current strategic directions: advocacy, information policy, and professional and leadership development. As always, the American Library Association (ALA) Midwinter meeting was the occasion for the debuts of new offerings from a wide range of library vendors. Below, please find a smattering of those we spotted in the aisles in alphabetical order. This list is necessarily far from comprehensive; if we missed yours (or your favorite) please add it in the comments! Moderator Lisa Bunker, Social Media Librarian for Pima County Public Library (AZ) ; Jason Griffey, founder and principal of consulting and creation firm Evenly Distributed; Jim Hahn, orientation services and environments librarian and associate professor at the University of Illinois Undergraduate Library; Jamie Hollier, co-owner and co-CEO of technology consultancy Anneal; Alex Lent, director of the Millis Public Library (MA); Thomas Padilla, digital scholarship librarian at Michigan State University Libraries; and Ken Varnum, senior program manager for discovery, delivery, and learning analytics at the University of Michigan Library, during the Library Information Technology Association's (LITA) Top Tech Trends panel at the American Library Association's 2016 Midwinter conference in Boston. 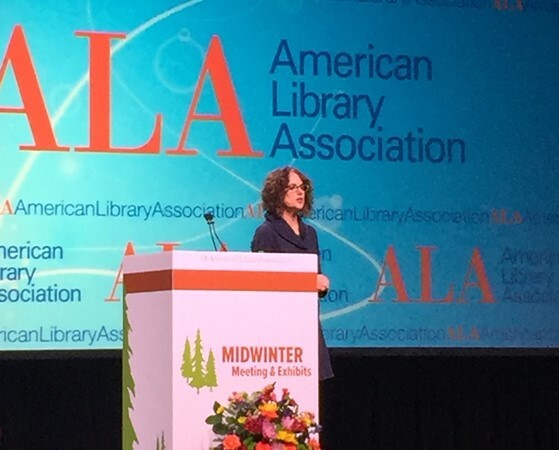 The American Library Association’s (ALA) 2016 Midwinter Meeting, held January 8–12 in Boston, was pleasingly free of snow—even if the temperature did fluctuate enough, from nearly 60 rainy degrees on Sunday to well below freezing Monday evening, to make packing light impossible. But weather uncertainties took a back seat to the overwhelming atmosphere of positivity at the Boston Convention Center and Exhibition Center and surrounding venues during Midwinter’s 2,400 scheduled meetings and events. There was a strong sense among attendees, panelists, ALA officials, and exhibitors of libraries being poised to step into the next phase—whatever that might be. Below are some of the event’s highlights; more detailed coverage will follow. The U.S. Senate announced its confirmation of Kathryn (“Kit”) Matthew as director of the Institute of Museum and Library Services (IMLS), the primary source of federal support for the nation’s 123,000 libraries and 35,000 museums, on September 22. 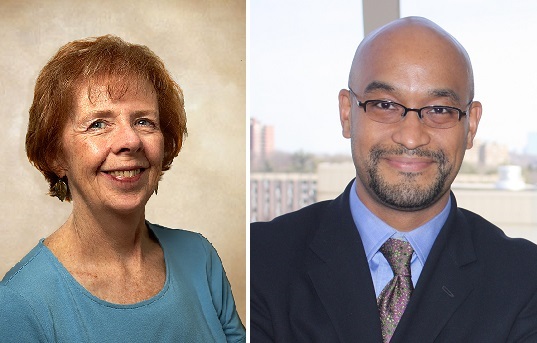 Matthew succeeds IMLS deputy director for library services Maura Marx (a 2006 LJ Mover & Shaker), who served as acting director since previous director Susan Hildreth’s term ended in January. The four-year directorship alternates between leaders from the library and the museum communities, in order to ensure representation from both sectors. President Barack Obama announced his intent to nominate Matthew for the position on March 10, along with nominees and appointees for several other key administrative posts. While it has always fallen to libraries to preserve the historical record of the communities they serve, libraries also need to consider their own history—especially in light of the changing landscape they face. At the American Library Association (ALA) Annual Conference, a panel of three authors whose recent books focus on private, public, and academic libraries spoke with moderator Barbara Hoffert, editor of LJ’s Prepub Alert, on Libraries and Book Collections as Essential Cultural Institutions: A Historical and Forward-Looking Perspective. The panelists discussed their own studies, and charged libraries to examine the cultural legacies of their own collections. The American Library Association’s annual conference produced a crop of comics news, beginning with the Comic Book Club Handbook, a new resource produced by Comic Book Legal Defense Fund in collaboration with Comic-Con International, with the assistance of Erwin Magbanua of the San Diego Public Library and illustrated by cartoonist Rick Geary. San Francisco is deservedly known for its restaurant offerings. No conference preview could cover them all (and no conference attendee could visit them). Below is a tasting menu of options that are accessible from the Moscone Center, at 747 Howard Street, provided courtesy of San Francisco local Ten Speed Press, an imprint of Penguin Random House’s Crown Publishing Group. The city of San Francisco has been immortalized in hundreds of books in every genre: the San Francisco Public Library (SFPL) keeps a Pinterest page of 81 titles and counting, as well as a “literary landmarks of San Francisco” list in its BiblioCommons catalog, plus separate lists for SF-based chefs and books for kids and teens. Here, a curated selection of reading for those ALA attendees who like to immerse themselves in a sense of place while they travel to the conference. In a Statement of Claim dated July 15, 2014, Joe Murphy—a 2009 LJ Mover & Shaker—named librarians nina de jesus and Lisa Rabey as defendants in a civil lawsuit filed in Toronto, Ontario (de jesus is a Canadian citizen). Murphy is suing the two for $1.25 million in damages--$1 million for general defamation, and $250,000 for aggravated exemplary and punitive damages. On March 25, 2015, de jesus and Rabey both published retractions and apologies to the Team Harpy website, which had previously hosted their joint legal defense fund, as well as to their personal blogs and Twitter accounts. While the American Library Association (ALA) conferences held in Chicago commonly see some of the highest attendance thanks to the association's hometown's central location, winter weather hitting Sunday of this year's Midwinter made that something of a mixed blessing—more than 19 inches of snow between Saturday night and Monday morning. While many locals stayed home (and perhaps watched the Super Bowl) and a few out-of-towners were able to beat the storm by departing early, many librarians and vendors were snowed in. Some 1,500 flights were cancelled arriving and departing Chicago's airports on Sunday and Monday, forcing them to stay one, two, or even three days longer than originally intended—including much of the LJ staff. On January 15, 2015, Susan H. Hildreth completed her four-year term as director of the Institute of Museum and Library Services (IMLS). Under her leadership, IMLS provided nearly $1 billion in support to libraries and museums, with a strong emphasis on early learning, STEM-related projects, and connectivity in libraries across the country. Prior to her tenure at IMLS, Hildreth served as Seattle City Librarian, California State Librarian, and San Francisco City Librarian. On March 1, she will return to California, her “adopted home state,” to serve as executive director of three linked organizations: the Peninsula Library System, a consortium of public and community college libraries in San Mateo; the Pacific Library Partnership, a California Library Services Act system; and Califa, a nonprofit membership cooperative that provides services and programs to libraries throughout California. A few weeks ago several events converged to drive home to me the realization that problems of climate change, global warming, carbon emissions, and a fouled environment, already urgent and dangerous, were accelerating so fast that it’s already too late to correct them. When President Barack Obama appointed Susan H. Hildreth as director of the Institute of Museum and Library Services (IMLS) in 2011, many in the profession knew we were in for a robust four years of activity by that federal agency. Hildreth had already been influencing the library landscape for years in major leadership roles, including time heading major public libraries (San Francisco and Seattle) and the California State Library. 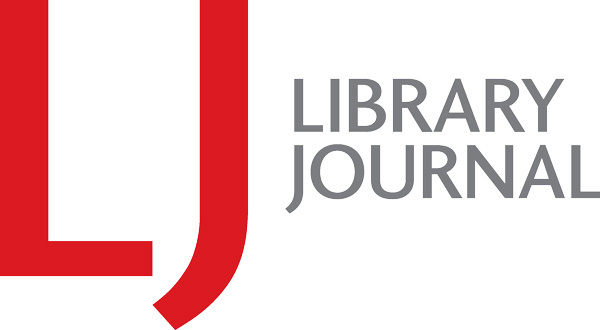 The 2014 American Library Association (ALA) Annual Conference & Exhibition, held June 26 – July 1 at the Las Vegas Convention Center, saw some 13,019 attendees. Though this is a pretty substantial drop-off compared with the 20,237 attendees who came to Chicago in 2013, it is higher than the 12,000+ attendees who visited Annual in Anaheim, CA in 2012. Critiques of the location, which has not hosted an ALA annual conference since 1973, included the vast distances between event sites and the expensive transportation—and, of course, the heat, which topped out at 111 degrees. However, those who did attend seemed excited about the exhibit hall’s 800 company offerings, and heavy crowds surging toward the galley giveaways greeted the exhibit openings on both Friday evening and Saturday morning. 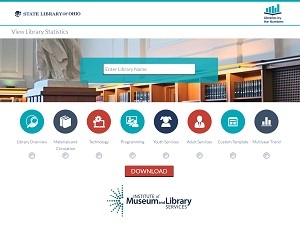 On June 18, The Institute for Museum and Library Services (IMLS) released the results of its 2011 Public Libraries in the United States Survey. While the survey is undertaken every year, the latest numbers from 2011 represent the study’s first attempt to use multivariate statistical modelling to take a deep dive into library circulation and visitation numbers. The results of that analysis verify that when communities invest in libraries, those libraries see increased use. Since Las Vegas is a new venue for ALA’s annual conference, many librarians may be first-time visitors. Vegas veteran Jeanne Goodrich, executive director of the Las Vegas–Clark County Library District, offers her advice for how to survive and thrive in the heat. Numerous events will take place at the stage in the exhibits hall, including readings, panel discussions, and presentations on topics popular in libraries and among librarians—from crime fiction and poetry to trivia, vampires, and more. For the full schedule, go to ow.ly/wCkW4.